While this magnanimous statement, taken from the liner notes of this album, has a sturdy foundation in truth, I would contend that the greatest asset an artist or producer can bring to a recording project is good material, as even the greatest musicians can’t overcome a bad song. On a James Harman session they don’t ever have to try. The other component to a great album is a strong vocalist. This often seems like an afterthought on many modern blues recordings. 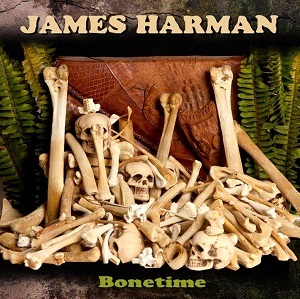 Bonetime, which will be released on April 21st ﻿on Electro-Fi Records, like all James Harman albums, has it all covered like dew on the ground. Harman has in fact utilized the best musicians, in service of some fantastic songwriting which includes the patented Harman story telling delivered with the soulful voice of a true original. The long time Southern California resident from Anniston, Alabama, has had a career that spans parts of six decades and again demonstrates he is one of the true greats in the blues field. Harman also states in the liner notes, which are part of an intelligently designed six panel package, “These songs have a common thread. All of them are about the human condition.” This is the essence of the blues at its very best and to me few (if any) can convey ‘the human condition’ with more vivid imagery, irony and wit than James Harman. In other words, James Harman has stories to tell and knows how to tell them. While Harman is an engaging live performer, the aspect of his career that I enjoy the most, are in fact his recordings. 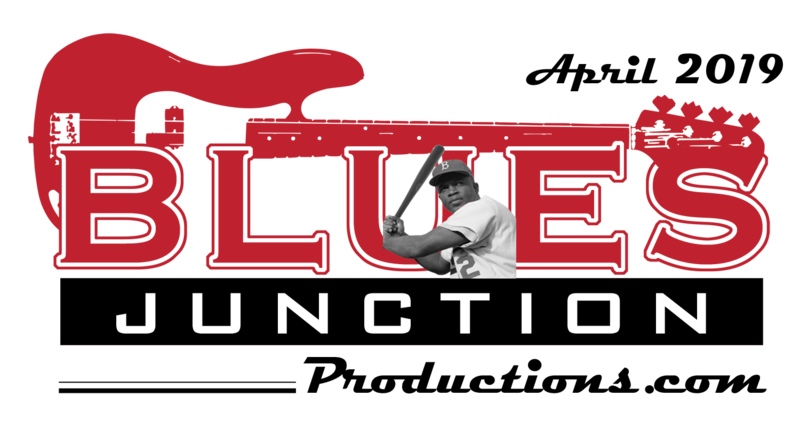 He has an impressive canon of material and an equally impressive batting average. However, he has not released a studio album since 2003’s Lonesome Moon Trance. It should be noted that Harman put out a wonderful live CD of previously unreleased material back in 2012 entitled James Harman’s Bamboo Porch: Live at Little Village. Harman has been quoted as saying, “A song is like a woman’s dress: It has to be long enough to cover the subject matter, but short enough to keep you interested.” On Bonetime, Harman pulls twelve original designs from off the rack of over 150 unfinished songs that he has in his closet...and yes, Harman keeps his listeners interested. They were recorded over a period of time dating back several years, but are seeing the light of day for the first time here on this CD. These various tracks feature an all-star line-up which includes guitarists Junior Watson, Nathan James, Kirk Fletcher and Kid Ramos. Pianists on board include Gene Taylor, Carl “Sony” Leyland and Thomas Mahon. Drummers Alan West and Stephen Hodges along with percussionist Mike Tempo are featured on the record as well. The lion’s share of the bass duties on Bonetime are handled by the late Buddy Clark. Rick Reed plays bass on one track. Multi-instrumentalist Jeff Turmes also plays bass as well as slide guitar and alto, tenor and baritone sax on this CD. As always Harman manages to put the right players in the right positions in service of some great material and adds just the right amount of his own fine harp playing to the proceedings. Additionally two tracks feature some female backup vocals by San Diego area based singers Candye Kane, Nena Anderson and Whitney Shay. “The Harmanettes” add yet another texture to an album full of various moods, grooves and stylistic ideas that will keep listeners riveted to this collection of songs. Bonetime is an enjoyable trip through the back roads of humanity. Harman flashes his high beams on this dimly lit thoroughfare just long enough to let you know that you are traversing a rather treacherous stretch of highway. However with a crooked smile, a wink and a moxy born out of a lifetime of experience, you soon realize everything is going to be alright. That is what the blues and James Harman’s world view is all about. Bonetime receives my highest recommendation and is an early contender for BLUES JUNCTION Productions’ Album of the Year.